Have written tutorials on how to change your imei and get free data on both airtel and etisalat before. But this one is for mtn users. 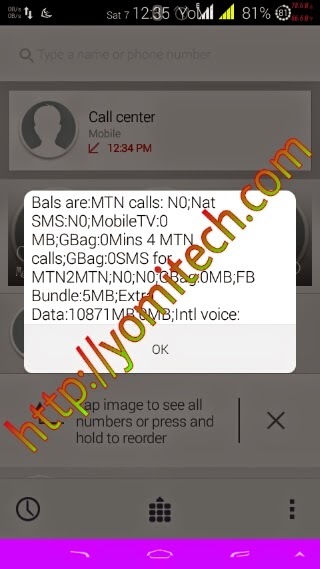 Though this Mtn tweak am going to be showing you today gives you just 100mb but the good thing is that there is no limitation to the number of times you can try it. So you can try it as much as you want and you data will keep on increasing. ==> First copy this ten digits 3597670533. ==> paste the the 10 digits you copied earlier and add any four digits of your choice then generate the last digit. ==> Now change your device imei to the one you generated and send Samsung to 131. If you don't know how to change your imei, check out this link. Note: you can tweak the imei and send the keyword as many times as you want. The more you send the more MB you get. If you get any error msg similar to the one in the image below then it means the imei has been used. So you have to tweak again. If you have any question, just drop it in the comment box below and I will reply you as soon as I can.